Network data storage devices and external hard drives were designed to backup the data from your computer. They were designed to be used to create a copy of your data. With the large volume of music and photo files generated today, many people find themselves using these devices as a primary data storage device. When their Western Digital ShareSpace NAS device or external Hard drive crashes, they now find themselves without a copy of there data and in need of our NAS Data Recovery services. It is strongly recommended when using your external storage devices as a primary storage device that you include another external hard drive as a data backup device. Western Digital ShareSpace Network Attached Storage (NAS) devices and Mass Data storage devices are relatively new to the small business owner and home user. The devices are similar to a data storage server without a large computer operating system and other peripherals. They generally come with a raid controller or software raid controller that allows you to configure the hard drives in various arrays. The NAS device is then connected directly to your network using an IP number or thru a computer using USB, Sata or e Sata connection. When their Western Digital My Book NAS Raid hard drive array fails the data recovery is more complex and more expensive. Again these devices are intended for data back up. Unless set up correctly in a Raid 1 configuration they should not be used as primary storage devices, unless they are also backed up. For more information call one of our techs when attempting to configure a Raid system. We provide secure data recovery services for all of our Corporate, Business and Home User Clients. Our clients data security is of utmost importance. Your data storage devices may include off site Cloud Storage, NAS (Network Attached Storage) data Storage, External or Internal HDD data storage or Sever Storage utilizing Raid Array Volumes. The best prevention of a data loss disaster is to have current multiple backups of your data. In the event that you do have a mechanical or software failure of one of your storage devices, DO NOT attempt any type of recovery, repair or Raid rebuild without a having a current and complete copy of your data. Your best course of action is to shut the Storage device down to prevent any further loss or corruption of your data. Call US Data Recovery and speak to one of our techs concerning the safest method of data recovery for your specific device. Secure forensic imaging of our clients hard drives insures that the data on the original drive is never altered. All forensic images and recovered data is stored on individual hard drives in a locked and alarmed safe. Client data security for hard drive data recovery, raid data recovery and NAS data recovery is insured by this storage method. We do not store any client data or forensic images on servers. All stored data and images are securely erased from the hard drives 15 days after return of clients data. We also provide secure raid array data recovery for all Unix raids, Linux arrays, Macintosh raid arrays, Windows raids, Solaris raid arrays and any raid array using the following systems : Red Hat, Suse, Caldera, SCO, Debian, Mandrake, Sorcerer, Turbo Linux, Slackware, Gentoo, Windows Vista / XP / 2003 / 2000, Windows 7, Windows 8, Windows Server 2003, Windows Server 2008, Windows Server 2010, Windows server 2012, Windows SBS Server, Windows SBS 2003, Windows SBS 2008, Windows SBS 2010, Windows SBS 2012, Windows NT, Windows Exchange Server, Mac OS X, Mac OS X v10.6 Snow Leopard, Mac OS X v10.5 Leopard, Mac OS X v10.4 Tiger, Mac OS X v10.3 Panther, Mac OS X v10.2 Jaguar, Mac OS 9 and earlier MacIntosh and Apple operating systems, SCO Openserver (HTFS & EAFS), SCO Unixware (VxFS & UFS), Solaris Intel (UFS) ,Solaris Sparc (UFS),BSD (UFS1 & UFS2) .HP UNIX (JFS 3.0,3.1,3.3). We also provide secure data recovery for any NAS server or SAN server utilizing a proprietary operating system. We provide data recovery for all external hard drive including Lacie external drive, Toshiba External Hard Drives, Seagate Free Agent External Hard Drives, Seagate GoFlex External Hard Drives, Seagate Expansion External Drive, Seagate Slim Mac, Maxtor One Touch External Hard Drives, Buffalo External Hard Drives, Fantom External Hard Drives, Western Digital My Book External Hard Drives, Hammer More Space External Hard Drives, Hitachi External Hard Drive, Iomega Prestige External Hard Drive, Lacie External Hard Drives, Macintosh External Hard Drives, Generic External Hard Drives, LaCie External Hard Drive, LaCie Sphere, Seagate Expansion, Seagate Backup Plus, Seagate Mac Slim, Western Digital Passport external drive, Western Digital Elements external hard drive, Lenovo ThinkPad external hard drive, Toshiba Canvio external hard drive, Apple TIme Capsule, Transcend External Drive, Silicon Power External hard drive, Buffalo MiniStation External Drive , LaCie Rugged external Drive, HGST Touro Mobile, ioSafe Solo, SAMSUNG D3 Station . Lacie Porsche, Apricorn Aegis, G-Technology external, Patriot Gauntlet, Transcend StorJet, Edge Diskgo, Sony External, BusLink external drive, LaCie BladeJet, HP external, Micronet external. Verbatiun Store and Save, ClickFree, Hitachi G- Drive, Memorex Slim Drive, Imation, LaCie Hard Disk ,LaCie Hard Disk, MAX Buffalo DriveStation Duo, Buffalo DriveStation Quattro , DriveStation Quattro TurboUSB LaCie Brick, HGST Touro Mobile, ioSafe Solo, SAMSUNG D3 Station . Lacie Porsche, Apricorn Aegis, G-Technology external, Patriot Gauntlet, Transcend StorJet, Edge Diskgo, Sony External, BusLink external drive, LaCie BladeJet, HP external, Micronet external. Verbatiun Store and Save, ClickFree, Hitachi G- Drive, Memorex Slim Drive, Imation,. My Book , WD Elements, My Book VelociRaptor Duo, My Book Thunderbolt Duo , My Passport Ultra, My Passport Slim , My Passport Enterprise, WD Elements , My Passport Air, My Passport for Mac, My Passport Studio. Our Raid server data recovery includes data recovery of all raid array configurations including hybrid raid arrays. We recover data from any software raid or hardware raid using any raid controller. Attempting to rebuild a fail array can result in lost and corruption of your data. Any raid array with a failed drive has a high probability of another drive failure during a rebuild or data copying. Without a complete and up to date copy of all your data a raid rebuild should not be attempted. 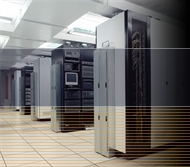 We provide data recovery for servers using any operating system or blended proprietary system. We specialize in raid recoveries of any make server using IDE drives, SCSI drives, SATA drives, SAS Drives or SSD drives. Most Raid Server arrays are forensically imaged, de striped and recovered to a single drive within 24 hours of receipt of the drive. We Provide NAS Raid Data Recovery for all makes and models of NAS Servers and SAN Servers. We provide raid data recovery for the following makes of NAS appliances : HDS NAS, Thecus NAS, Iomega Nas, WD NAS, San Digital NAS, AccuNas, LaCie NAS, TeraStation Pro, Seagate BlackArmor NAS, Linksys Nas, Buffalo Technology,D-Link NAS, Qnap NAS,GMG NAS, HP Media, Buffalo NAS, LG Electronics, Kanguru NAS, Isilon NAS, MicroNet NAS, MPC Computers, MRT NAS,NEC,Netgear, NetApp NAS, Ocarina NAS, Open-E NAS, DroboPro, Drobo, DroboShare, D-Link DNS-343,Systamax,Synology, Supermicro,Promise Technology, Sans Digital, SGI NAS, Sonic Wall NAS,SMC NAS, Proware NAS, PLX Technology NAS, Plextor NAS, Pillar Data Systems NAS, Philips NAS, Panasas NAS, Overland Storage, Snap Expansion S50,Snap Server® 210, Snap Server® 410,Storango SSTE-1NAS00,Storango SSTE-2NAS10,Storage Central, ReadyNAS Duo, ReadyNAS NVX, ReadyNAS NV+, ReadyNAS Pro Pioneer, TEAC NAS, Tranquil NAS, Trendnet NAS, T-Com in addition to all other Raid NAS Servers. Seagate NAS Devices: Seagate FreeAgent GoFlex Net STAK100, Seagate BlackArmor Network Attached Storage, GoFlex Home Network Storage System, FreeAgent GoFlex Net Media Sharing Device, FreeAgent DockStar, Seagate BlackArmor, Western Digital My Book World Edition, Western Digital My Book World Edition 2, Western Digital ShareSpace, My Book VelociRaptor Duo, My Book Thunderbolt Duo , My Passport Ultra, My Passport Slim , My Passport Enterprise, WD Elements , My Passport Air, My Passport for Mac, My Passport Studio. We specialize in data recovery and data reconstruction of NAS raid arrays for all major NAS raid servers, Nas Data Storage and custom NAS raid servers including : HP Integrity Server, IBM Servers, Macintosh Servers, Silicon Mechanics, Raid Inc, Servers, Xenos Servers, HP Proliant Servers, SUN Servers, Dell Poweredge Servers, Super Micro Servers, SuperServes, Lenovo Servers, IStarUSA Servers and more. Note: attempting to rebuild and Standard or Hybrid raid array without a separate and complete backup of all data can lead to loss of data. Reconstruction of any failed raid array is complex and requires professional imaging and data recovery hardware. Our raid reconstruction labs use the most up to date Professional Imaging devices and Data Recovery appliances available. We use the most advance prescribed methodology for all raid recoveries and reconstructions, which leads to the highest recovery results. SAN Server raid data recovery and raid data reconstruction follows the same prescribed procedures as recovering a standard raid server. The major difference is the proprietary Operating systems, journaling and filing systems and custom offsets used by each different manufacture. Our raid recovery engineers are fully versed in the many different SAN system configurations. Our raid data recovery specialist have recovered raid arrays from most SAN Servers including: QNap SAN, Sans Digital SAN, Drobo SAN, Open E SAN Servers, ISCISI San Servers, DS Dapron SAN, Raid, Inc SAN, Spectron SAN Servers, Bright Drive SAN, HP SAN, IBM SAN, Snap SAN, D-Link SAN, Fluke SAN Server, EMC SAN, NetWitness SAN, THecus SAN, Silicon Mechanics SAN, Dell SAN Servers, Arecanas SAN, Sgi Infinite Storarge, THecus SAN, Iomega SAN Servers, Sans Digital SAN, LaCie SAN, Linksys SAN, D-Link Servers, Qnap, SAN Servers, Micronet San, Netgear San Server, NetApp San Server, Open_E SAN, Super Micro SAN, SGI SAN, CineRaid SAN and more. We provide worldwide data recovery for West Denver Colorado business and home users. Our data recovery services include West Denver Raid Data Recovery, West Denver Raid Server Data Recovery, West Denver SATA SAS Data Recovery, West Denver SSD Drive Data recovery and West Denver USB Flash Drive Data Recovery. We provide worldwide data recovery for Tuxedo business and home users. Our data recovery services include Tuxedo Raid Data Recovery, Tuxedo Raid Server Data Recovery, Centerville SATA SAS Data Recovery, South Tuxedo SSD Drive Data recovery and Tuxedo USB Flash Drive Data Recovery, Princeton SATA SAS Data Recovery, Princeton SSD Drive Data recovery. Network Attached Storage (NAS) devices and Mass Data storage devices are relatively new to the small business owner and home user. The devices are similar to a data storage server without a large computer operating system and other peripherals. They generally come with a raid controller or software raid controller that allows you to configure the hard drives in various arrays. The NAS device is then connected directly to your network using an IP number or thru a computer using USB, Sata or e Sata connection. When the NAS Raid hard drive array fails the data recovery is more complex and more expensive. Again these devices are intended for data back up. Unless set up correctly in a Raid 1 configuration they should not be used as primary storage devices, unless they are also backed up. For more information call one of our techs when attempting to configure a Raid system.